© Copyright 2018 Marie Chabert. All Rights Reserved. 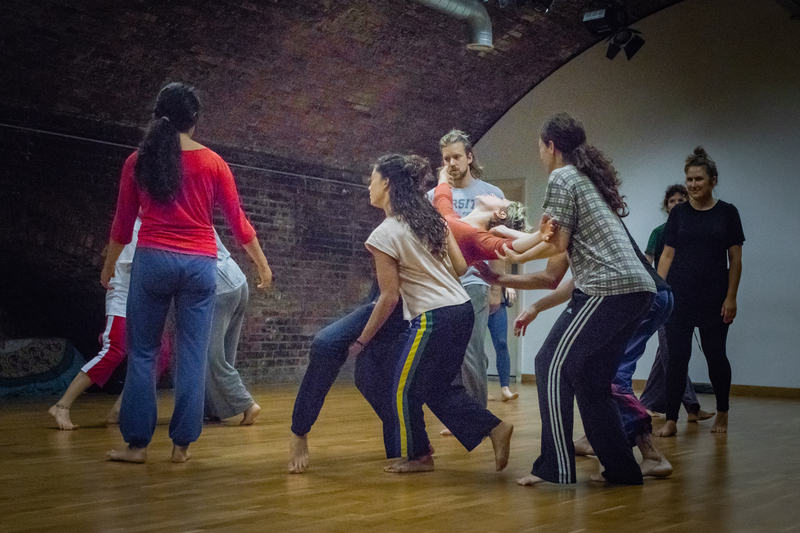 TripCI is a London based contact improvisation collective of 10 experienced CI practitioners, dance artists and teachers from various backgrounds and influences such as BMC, physical theatre, choreography, Feldenkrais, contemporary dance, yoga, massage to name a few. Our intention is to combine skills and energies in order to contribute to London/UK CI community and stretch its scope and reach, primarily through teaching, performing and having peer support to grow individual and collective practices. We come together every Friday 11am-12:30pm at TripSpace to teach an open class. Dancers and anyone eager to improve their contact skills are welcome. Each session is led by one or several members of the collective. TripCI is newly formed and is open to create future opportunities for performances, jams, meetings, discussions and debates, festivals, lectures, workshops and any individual or common endeavors in line with our aim.